This weekend we were reminded of how lucky we are to live where we live. 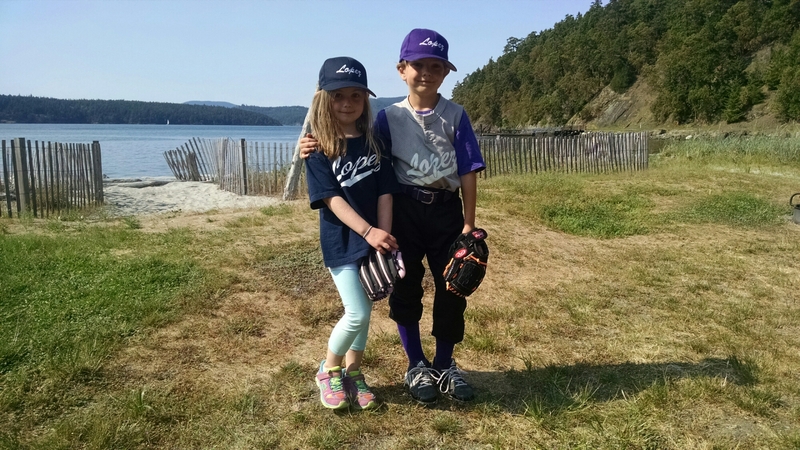 Henry and Ruby closed out their respective baseball seasons on Saturday by playing each other’s teams. Lopez won. I started my Sunday with a 20-mile ride around the South End, passing several friends along the way who were enjoying the beautiful weather. Cynthia on Sperry Road, Linda on Aleck Bay Road, and Carl on MacKaye Harbor Road – presumably on his way back from stocking the Agate Beach outhouse with magazines and fresh flowers. 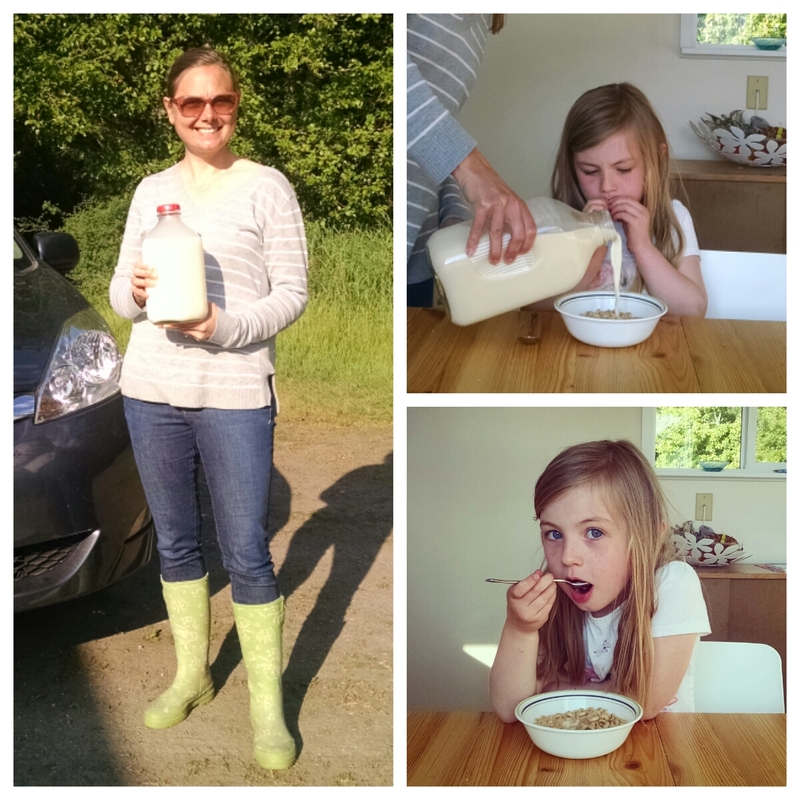 This afternoon Kristine milked her first cow, Rose, who provided us with a half gallon of the freshest milk you’ve ever tasted. Ruby and I had a bowl of Cheerios with it as soon as Kristine returned. 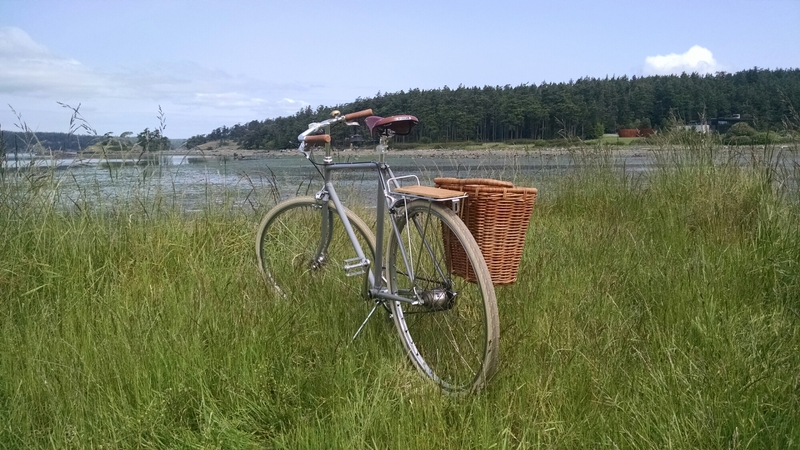 Living on Lopez Island, no big deal.